It’s not exactly a gold rush. More like a mad dash to not be left behind when liquor sales go private in June. 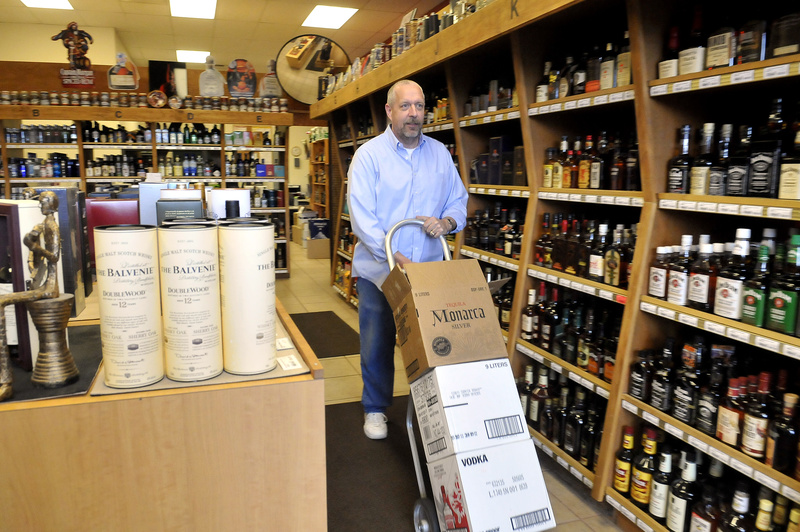 On June 1, the state’s roughly 330 liquor stores will be replaced by privately owned locations, possibly 1,200 or more of them, a change enacted by voter approval of Initiative 1183 last fall. Once that date arrives, consumers will find one obvious change: Hard liquor will be available nearly anywhere they look. The Washington State Liquor Control Board said on Tuesday it’s received more than 1,220 applications – 90 store applications in Spokane County. The numbers keep growing as new applications come in, said Liquor Board spokesman Brian Smith. Nearly every major grocery chain will sell liquor. So will Costco and Wal-Mart, two stores known for offering customers a broad selection of products and that already sell liquor in other states. Trader Joe’s, which has 12 Washington stores, is also diving in with both feet, according to a company spokeswoman. Spokane’s South Hill store will be offering liquor alongside its “Two-Buck Chuck” wine and other beverages. In addition, there will be new liquor retailers arriving solely because of the new law. Maryland-based Total Wine has plans for two stores in the area: one in north Spokane, the other in Spokane Valley. Next will be dozens of midsize retail stores that meet the law’s minimum space requirement of 10,000 square feet going forward with plans to sell hard liquor. In Spokane those include at least 10 Walgreens stores, two area Hico Village convenience stores, and, not to be outdone, 11 RiteAid stores. Add another 11 state-run stores that can be kept operating in Spokane, if anyone successfully bids on those locations in a statewide auction. There are another nine contract stores operated by private managers who sell state-provided alcohol and get a commission on the store’s monthly sales. Eight of those nine Spokane managers have either signed on to keep selling as a private store in June or are letting someone else take over the store. Those contract stores were set up originally to provide alcohol in spots where consumers had few other options. Many contract stores, however, are now surrounded by urban development, such as the one at 5611 S. Perry St. That store, the Pumpkin Patch, first opened more than 30 years ago. It will stay in business as longtime owner Raymond Skalstad has agreed to hand over the store to new operator Diane Eggers. “It’s all about competition,” said Gary Morgan, who is co-owner of four area Trading Company Food groceries. Three of the stores, in Cheney, Spokane Valley and Latah Creek, will sell alcohol. “In this business, it’s always about change,” Morgan said. Like other grocery managers, Morgan believes any time he can save a customer an extra stop in buying liquor, that keeps the shopper coming back, he said. Rosauers CEO Jeff Philips said the choice is either adding liquor to his 13 Eastern Washington stores or letting shoppers go elsewhere. “We’re doing this to protect the jobs of our employees,” he said. Medical Lake’s contract liquor store operator, Mark Bahr, opposed the initiative because he didn’t think it would accomplish as much good as its proponents claimed. But Bahr said he’s decided to keep the store going, convinced he can keep most of his customers coming through the door. Bahr will buy from the state all the liquor left in the store at the end of March. Then he’ll start arranging deals with liquor distributors to start providing him inventory to keep going. He’s right next door to Denny’s Harvest Foods, the only big grocer in Medical Lake. So far, Denny’s owner Denny McDaniel hasn’t indicated to Bahr whether he’s decided to sell booze or not, Bahr said. His contract store is eight miles from the Airway Heights Wal-Mart store, and Bahr knows some people will prefer going there, where alcohol prices will likely be a dollar or two cheaper per bottle. That’s due to the distributor markup and overhead that smaller stores like Bahr’s must include in pricing, while Costco or Wal-Mart can buy directly from distilleries. He said he knows 70 percent of his customers by name. He thinks he can keep customers by knowing their preferences and providing a wider range of choices than found in box stores, Bahr said. Still 10 weeks away, the transition to private sales has left most retailers with loads of uncertainty, he added. That includes what prices the distributors will charge retailers and uncertainty over how consumers will make their selections. “I know I will lose some of my customers to the grocery stores, but I want to view the glass as half-full,” Bahr said. “I believe a great number of my customers are people who come in for one particular item” and who “enjoy making a purchase and leaving in a few minutes,” he said.